“I decided I don’t want to be accessible to thousands of people who think because I work on a TV show that I owe them myself all the time,” Zuke wrote in a now-deleted tweet. According to a Reddit forum, the harassment started right around when the episode “Beta” aired earlier this month. News of a possible relationship between characters Lapis and Peridot (or “Lapidot”) had been hinted at months before, after leaked footage (something Zuke was also upset about) showed the two characters had moved in together. 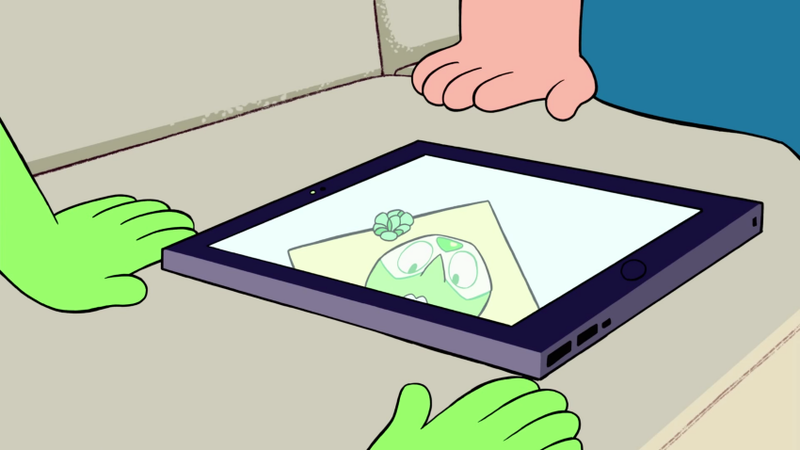 While the relationship isn’t canon, Zuke shared some art that appeared to show support for the ship, which pissed off select fans of Peridot and Amethyst (or “Amedot”), saying she was showing favortism for one ship over another. They also accused her, a gay woman, of “queer baiting.” In some circles that means teasing queer fans with a possible ship that never comes to fruition, in others it’s bringing up a character’s sexual orientation to encourage homophobic attacks against them. (Note: Steven Universe is a show with one of the most diverse and inclusive cast of characters on television and consistently includes gay themes). Zuke wrote on Twitter that she’s okay with criticism, but was upset that some fans thought she owed them something, whether it was time, attention, or the ship that they wanted. “Remember you’re tweeting at a literal human being (that’s what I am btw) and life exists outside of Steven Universe,” Zuke wrote in a now-deleted tweet. While most of the Steven Universe fandom is supportive and welcoming, there is a small subsection that’s known for being extreme and hostile under the guise of inclusiveness. Last year, the Steven Universe Tumblr community made headlines after a fan artist attempted suicide because some people were harassing her for the body proportions in her art. Many fans in the Steven Universe community have been speaking out in support of Zuke after she quit Twitter, saying that too much of the fandom is becoming “toxic.” They’re asking anyone involved in the backlash to stop harassing fellow Steven Universe fans— especially ones who are actually responsible for making the show itself. We reached out to Zuke for comment, and we’ll keep you updated should we hear back.